A baby's little feet are so beautiful. 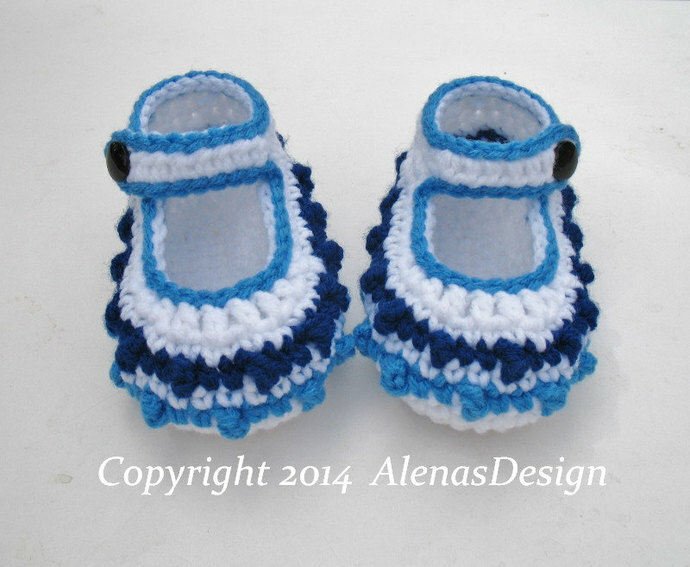 That is why we love to crochet little baby shoes for them. F/5 (3.75mm) crochet hook, OR SIZE TO OBTAIN GAUGE. You have my permission to sell the finished product. All I ask is that you credit me for the pattern with a link to my site: http://www.AlenasDesign.com when listing or selling the items made from patterns.